Peanut free! Includes freeze-dried and dehydrated fruits, herbs, spices and vegetables. Plus bee pollen, hemp seed and so much more! Great for tiny and petite birds. 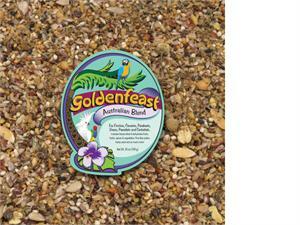 As with all Goldenfeast products, all ingredients are human grade.